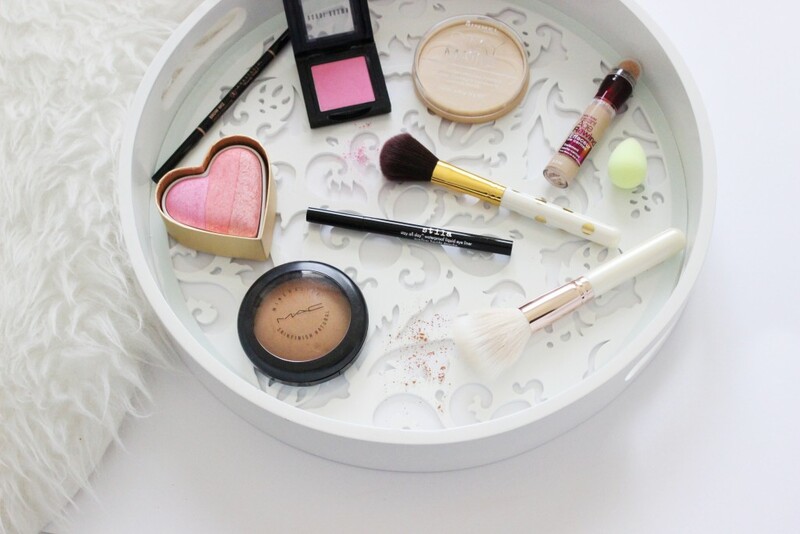 I’m no pro at applying makeup by any means, but if you’re obsessed with beauty blogs like I am then you know that practice makes you learn what products and techniques are best for your features. I like a subtle and natural makeup look with a beautiful touch of blush and a fierce cat eye. On a typical day I like to just apply concealer where it’s needed, some mascara and fill in my eyebrows. 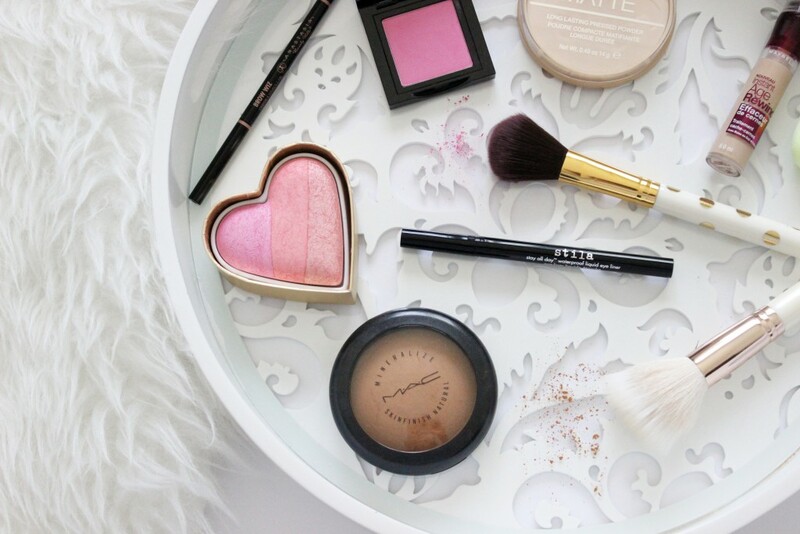 Here are some of my favorite products for when I want to get glammed up while keeping it simple. 1. Eyebrows: I used to say I’d never leave the house without concealer, but the truth is doing my eyebrows has become just as important. I’ve tried numerous creams, shadows and pencils, but the Anastasia Beverly Hills Brow Wiz Pencil is the best thing since sliced bread. It’s easy to apply, comes in various beautiful colors and gives an extremely natural finish. 2. Base: I’m still in search for the best foundation for my skin but I’ve been using Maybelline’s Dream Pure BB Cream for the past 6 months and I love it. The color options are perfect for my skin tone, it lasts all day without giving me oily patches and it looks like skin especially when applied with a Beauty Blender. 3. Concealer: I recently started using Maybelline’s Age Rewind Concealer (in light) and it has the most beautiful texture. I apply it to my face, blend it in with a Micro Beauty Blender and set it with Rimmel’s Stay Matte Pressed Powder. The yellow undertones of both products really brightens up my under eye area and doesn’t crease one bit! 4. Liquid Liner: My best friend introduced me to Stila’s Waterproof Liquid Liner and I can’t believe it’s taken me this long to find it. The felt tip makes it so easy to apply, and although it’s waterproof and lasts all day long, it’s also very easy to wash off. Run don’t walk and go get yourself one. 5. Bronzer: MAC Mineralize powder in Dark has been my go to bronzer for years now. It’s a beautiful golden brown and is also amazing for contouring. 6. Blush/Illuminator: Bobbi Brown’s Blush in Peony is my all-time favorite pink blusher. When I want a more peachy tone with a built-in illuminator I use the Too Faced Sweetheart Perfect Flush Blush.